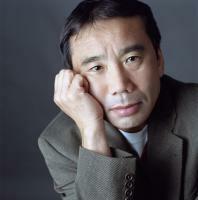 See the gallery for quotes by Haruki Murakami. You can to use those 8 images of quotes as a desktop wallpapers. I am worrying about my country. I feel I have a responsibility as a novelist to do something. I didn't read so much Japanese literature. 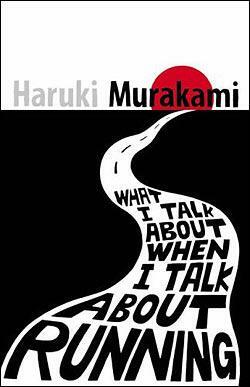 Because my father was a teacher of Japanese literature, I just wanted to do something else. I don't know how many good books I still have in me; I hope there are another four or five. I have no models in Japanese literature. I created my own style, my own way. I used to run a full marathon in three hours and 25 or 26 minutes. Not any more. I'm a writer, not a professional runner. It's fun and it helps me write. I need powerful concentration. I'm not a fast thinker, but once I am interested in something, I am doing it for many years. I'm not a fast thinker, but once I am interested in something, I am doing it for many years. I don't get bored. In my younger days, I was trying to write sophisticated prose and fantastic stories. Most near-future fictions are boring. It's always dark and always raining, and people are so unhappy. My priority is my books, at least at this point. What I have to do is write the narrative of this time. Young people these days don't trust anything at all. They want to be free. As a novelist, you could say that I am dreaming while I am awake, and every day I can continue with yesterday's dream. Because it is a dream, there are so many contradictions and I have to adjust them to make the story work. But, in principle, the original dream does not change. Every day I go to my study and sit at my desk and put the computer on. At that moment, I have to open the door. It's a big, heavy door. You have to go into the Other Room. Metaphorically, of course. And you have to come back to this side of the room. And you have to shut the door. I get up early in the morning, 4 o'clock, and I sit at my desk and what I do is just dream. After three or four hours, that's enough. In the afternoon, I run. I myself have been on my own and utterly independent since I graduated. I haven't belonged to any company or any system. It isn't easy to live like this in Japan. 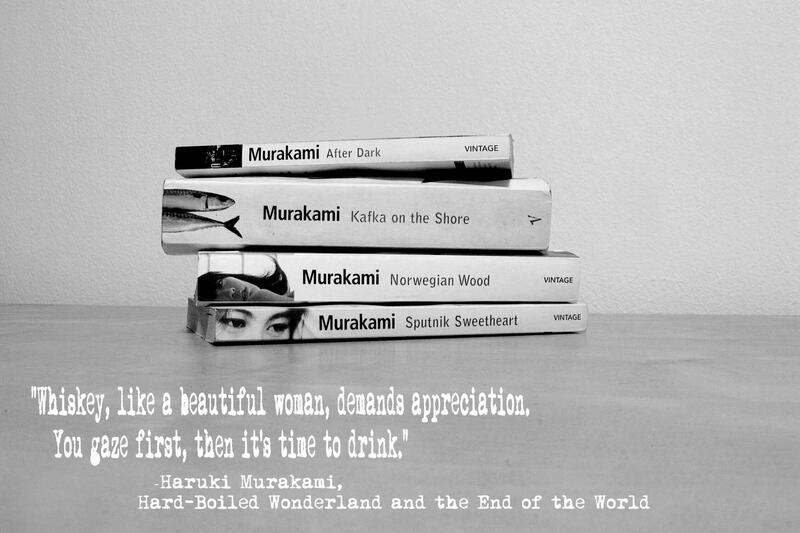 Much more quotes by Haruki Murakami below the page. I began running on an everyday basis after I became a writer. As being a writer requires sitting at a desk for hours a day, without getting some exercise you'd quickly get out of shape and gain weight, I figured. I just wanted to write something about running, but I realized that to write about my running is to write about my writing. It's a parallel thing in me. It's true that at the time I was fond of Kurt Vonnegut and Richard Brautigan, and it was from them that I learned about this kind of simple, swift-paced style, but the main reason for the style of my first novel is that I simply did not have the time to write sustained prose. Mere humans who root through their refrigerators at three o'clock in the morning can only produce writing that matches what they do. And that includes me. My father belongs to the generation that fought the war in the 1940s. 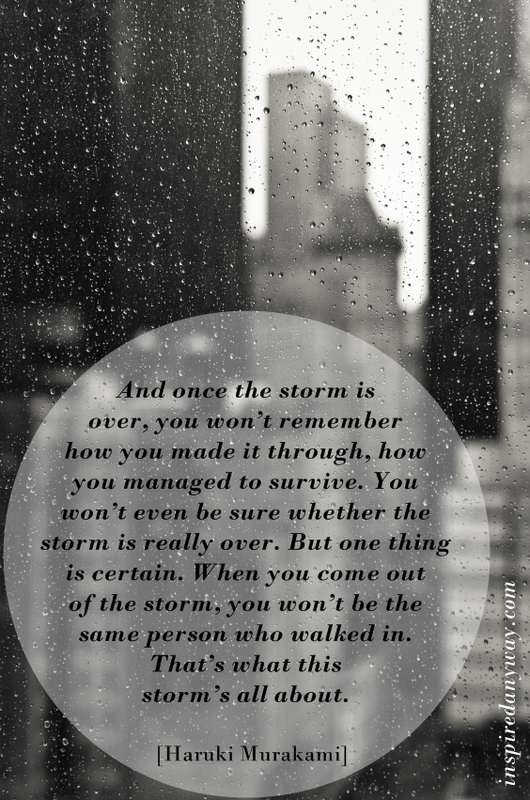 When I was a kid my father told me stories - not so many, but it meant a lot to me. I wanted to know what happened then, to my father's generation. It's a kind of inheritance, the memory of it. 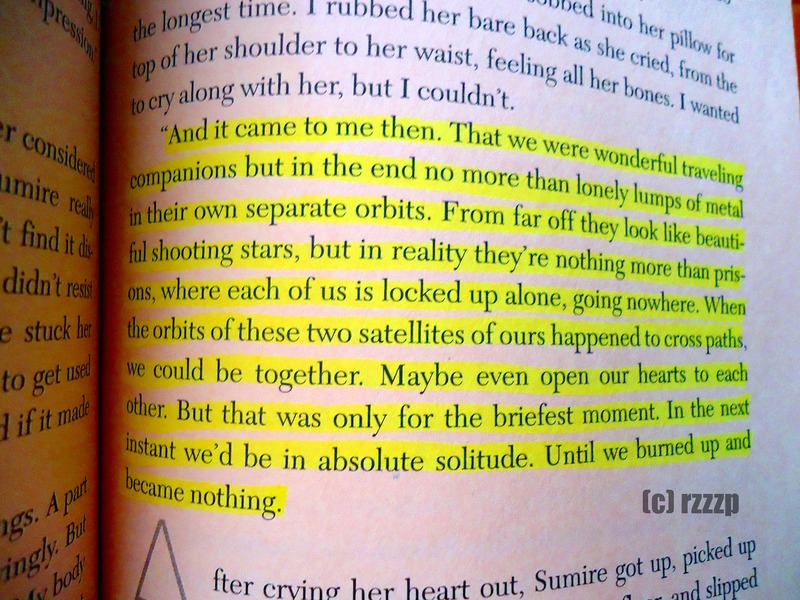 When I was a teenager, I thought how great it would be if only I could write novels in English. I had the feeling that I would be able to express my emotions so much more directly than if I wrote in Japanese. When I write about a 15-year old, I jump, I return to the days when I was that age. It's like a time machine. 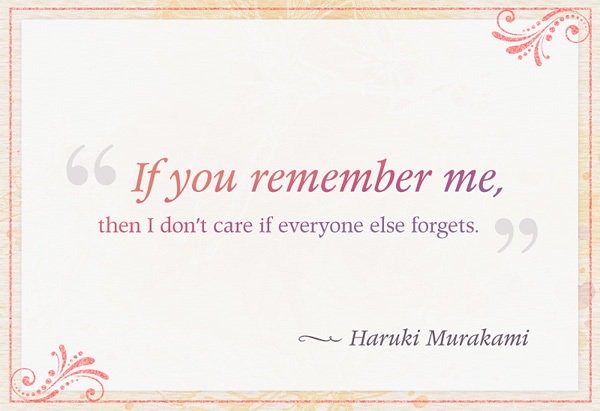 I can remember everything. I can feel the wind. I can smell the air. Very actually. Very vividly. Writing is fun - at least mostly. I write for four hours every day. After that I go running. As a rule, 10 kilometers (6.2 miles). That's easy to manage. My heroes don't have anything special. They have something to tell other people but they don't know how, so they talk to themselves. I am 55 years old now. It takes three years to write one book. I don't know how many books I will be able to write before I die. It is like a countdown. So with each book I am praying - please let me live until I am finished. It is hard to be an individual in Japan. When I am writing, I do not distinguish between the natural and supernatural. Everything seems real. That is my world, you could say. I have always liked running, so it wasn't particularly difficult to make it a habit. All you need is a pair of running shoes and you can do it anywhere. It does not require anybody to do it with, and so I found the sport perfectly fits me as a person who tends to be independent and individualistic. I like to read books. I like to listen to music. I'm a writer. 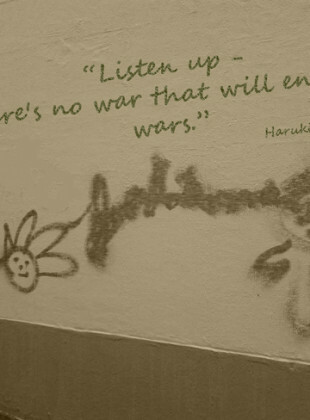 I don't support any war. That's my principle. When I start to write, I don't have any plan at all. I just wait for the story to come. Every writer has his writing technique - what he can and can't do to describe something like war or history. I'm not good at writing about those things, but I try because I feel it is necessary to write that kind of thing. A fortunate author can write maybe twelve novels in his lifetime.